As a dietitian, I understand over-stand the importance of eating a diet rich in unprocessed or minimally processed foods. Our current food landscape is awash with ultra-processed foods, which deliver plenty of added salt, sugars, and oils but not much in the way of true nutrition. 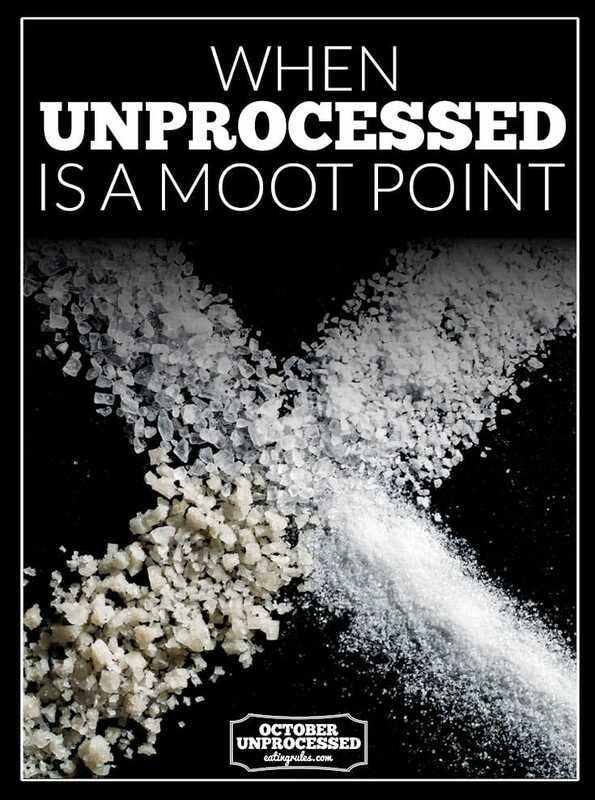 Alas, “unprocessed” has become co-opted by the food industry as an advertising tactic, especially with salts and sweeteners. Let’s quickly assess the current public health situation. While simultaneously adding more potassium to the diet (predominantly found in whole, plant-based foods) is key for healthy blood pressure, there is no doubt that high intakes of sodium are problematic. Sodium is quite sneaky, by the way, showing up in high amounts in foods that may not taste particularly salty; a Dunkin’ Donuts corn muffin has as much sodium as eight chicken McNuggets. Meanwhile, the latest figures from the Centers for Disease Control and Prevention (CDC) show that the average adult man in the United States takes in about 335 calories from added sugars every day: that’s about 84 grams, or 21 teaspoons. Women take in 239 calories — about 60 grams, or 15 teaspoons. These figures far exceed the American Heart Association’s and World Health Organization’s added sugar recommendations. Americans would greatly benefit from cutting back on salt and added sugars, and cutting back on processed foods is a great first step (approximately three-quarters of our sodium intake comes from processed foods, rather than from a salt shaker). Nevertheless, it still worries me when I see salts and sweeteners marketed as “healthier” or “better choices” simply because they undergo minimal processing. Let’s take a look at some examples, beginning with sweeteners. 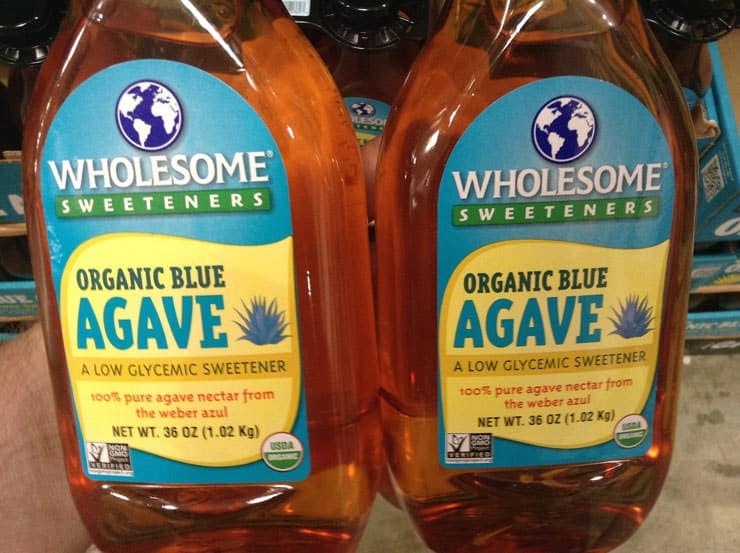 A decade ago, agave nectar was somehow relegated to “health food” status in certain circles because it was considered a minimally processed alternative to table sugar with a lower glycemic index (the higher a food’s glycemic index, the higher it raises blood sugar). However, basing healthfulness strictly on the glycemic index is unwise. If you go by those numbers, then ice cream is a “better” choice than fresh watermelon. Agave ultimately fell out of favor due to its high fructose content. While high fructose intake appears to come with its own set of problems, high intakes of added sugar – regardless of fructose content – are bad news for health. Maple syrup is, even to this day, considered “better” than table sugar because it is less processed. Some even tout the naturally occurring minerals in maple syrup as a way to showcase its apparent superiority as a sweetener. While its distinct flavor certainly has culinary importance, claims of its nutritional prowess are greatly exaggerated. Yes, there is magnesium and potassium in maple syrup (two minerals Americans fall short on). But, a tablespoon of maple syrup provides a scant 4 milligrams of magnesium and 42 milligrams of potassium. In other words, it takes 58 teaspoons (232 grams of sugar!) to match the magnesium in a cup of garbanzo beans, and 11 teaspoons to match the potassium in half an avocado. Of course, the maple syrup doesn’t offer any of the heart-healthy fats, vitamin K, vitamin C, or fiber that same half avocado contains. Then there’s honey. A quick glance around the internet comes up with many largely unsubstantiated health claims about honey: it supposedly “aids in weight loss” (a sweetener that helps with weight loss? ), “strengthens the immune system,” and “helps reduce blood pressure.” The presence of “vitamins and minerals” in honey is sometimes mentioned, but a tablespoon (12 grams of sugar) delivers a paltry 1 mg of calcium (.001 percent of a day’s worth) and 0.1 mg of vitamin C (.00 percent of the DV). Meh. The sweetener du jour is coconut nectar, and its “minimally processed” status and low glycemic index are its main selling points. Oddly, the fact that it contains 17 amino acids is also touted as a plus, which makes very little sense for two reasons. First, only nine amino acids – the building blocks of protein – are essential (meaning we need to get them from food). Second, sweeteners offer very little protein, so coconut nectar’s amino acid content is also minimal. And if there’s one thing Americans don’t have to worry about, it’s their protein intake. Brown rice syrup is ubiquitous in many supposedly “better-for-you” processed foods — especially protein and granola bars — where it is often listed as the first ingredient. 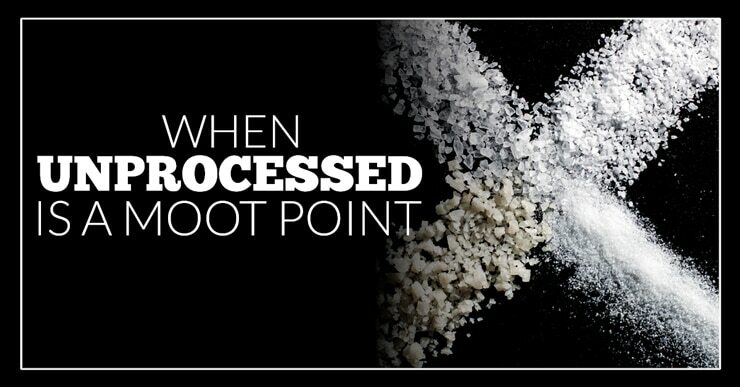 While some proponents point to its “natural” and minimally refined status (as well as the absence of fructose) to explain its alleged superiority over white sugar, it doesn’t offer any nutritional advantages. In fact, since its sweetness is less pronounced than that of other liquid sweeteners, higher amounts of brown rice syrup (hence more grams of sugar and more calories) are necessary for flavor’s sake. Bottom line: whether you’re talking about honey, agave nectar, maple syrup, coconut nectar, white sugar, or brown sugar, you are talking about 4 grams of sugar – and 16 empty calories – per teaspoon. Increasingly, it is becoming clear that these calories are not just empty, but also harmful. A similar style of healthwashing happens with salt. The respective grey and pink colorings of Celtic and pink Himalayan salts are often pointed to as proof of their apparent nutritional superiority, since these natural colorings are derived from the naturally occurring minerals in these salts. In the case of Himalayan salt, for example, the pink hue comes from iron oxide. Many purveyors of pink Himalayan salt boast that it contains 84 essential minerals. Sounds fantastic, right? Well, again, it’s important to keep amounts in mind. The mineral content of any salt, in the recommended amounts (no more than a teaspoon per day), is negligible. And, by the way: shame on those who claim that pink Himalayan salt is great for “detoxing” the colon due to its unrefined nature (I’m not even going to link to such nonsense). Americans undoubtedly need to increase their intake of minerals like magnesium, calcium, and potassium. However, we should strive to get them from whole foods, not salts and sweeteners. Andy Bellatti, MS, RD is a Las Vegas-based nutritionist with a plant-centric and whole-food focus who takes an interest in food politics, deceptive food marketing, sustainability, and social justice. His work has been published in Grist, The Huffington Post, Today’s Dietitian, Food Safety News, and Civil Eats, among others. He is also the co-founder and the strategic director of Dietitians for Professional Integrity, a group that advocates for ethical and socially responsible partnerships within the Academy of Nutrition and Dietetics. You can read more of his work on his Small Bites blog and can also follow him Twitter and Facebook. YES. This is exactly why I’m working so hard to remove the added sugar from my Not Ketchup sauces. Real fruit, with its fiber and nutrients and natural sugar, is sweet enough. Our bodies don’t need more sweet than that! Love the dose of reality. Thank you, Andy. A great reminder during this unprocessed challenge!